Magnum Hunter Resources Corp. is selling almost $41 million in undeveloped Utica shale acreage. The oil and gas company, which has 210,000 acres of land under lease in eastern Ohio and West Virginia, said Tuesday it’s selling its interests in 5,210 acres in Tyler County, West Virginia, which borders the Ohio River. 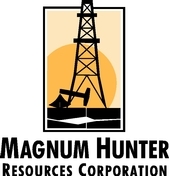 Houston-based Magnum Hunter (NYSE:MHR) said the land was not in its long-term drilling plans. Many of the leases in the acreage are set to expire soon, CEO Gary Evans said in a statement. You may want to rethink those tickets to Hawaii, and instead spend the summer basking in the opportunities developing in three different sectors of the oil market. In this interview with The Energy Report, U.S. Global Resources Fund Manager Brian Hicks shares the names of the juniors that could benefit from the current volatility. Plus, he reveals the dramatic shift he made in the fund this year that allows him to get paid to wait for the market to catch fire. The Energy Report: Summer means driving season, which is good news for oil and gas prices. U.S. Global Investors recently published an article that says Americans are driving and flying more than ever. Will energy investors who "sell in May and go away" kick themselves later, when they look at the stock charts for their favorite companies? Brian Hicks: The summer driving season is a supportive time for crude oil. Refineries are at very high utilization levels, ramping up production of gasoline, and that creates extra demand for crude oil. We have begun to see inventories come down, which creates physical demand in the marketplace and helps offset high domestic inventories. This is a seasonally strong period for oil, which should alleviate the storage overhang heading into the summer months. TER: Oil has been above $60/barrel ($60/bbl) recently. Do you believe we've hit a bottom in oil prices? What can we expect going forward if history is a guide? BH: I think we have hit a bottom. Clearly, oil prices below $50/bbl are not sustainable. We simply can't replace global production at that price. It is way below the marginal cost of production, which we think on a long-term basis is somewhere around $75/bbl. Even at $60/bbl, we have more upside to go to reach an equilibrium price. We have come up a ways since the lows set earlier this year. Perhaps we are entering a holding pattern before the next leg up in the back half of the year. But who knows? We are starting to see production growth decline and inventory levels receding, so we could see prices maintain these levels, or get even stronger, if declines accelerate into the summer. TER: What are rig counts telling you? BH: Rig counts coming down over 50% bodes very well for the price of crude oil. The resetting of global crude oil prices resulted in less drilling, particularly in the U.S. That's why we are starting to see a production response. From a historical standpoint, this is the point in the cycle when you want to look at energy stocks. We believe we are in a trough, and heading into 2016 we are going to need to see the rig count come back up—certainly not to the peaks that we had previously, but higher than current levels. As we see production growth decline and demand pick up, inventory levels are going to head down further. TER: Are you buying and selling based on Q1/15 results, or are you looking out at Q2/15 or Q3/15 expectations and beyond? BH: We're trying to look forward. Obviously, some useful data can be gleaned from current financials, but we're trying to look ahead of the noise and over the horizon to see where oil prices will settle out and the prices that energy stocks are discounting in their valuations. We feel good that energy stocks have found a bottom and have started to come up. We think there is more upside as we get closer to 2016. TER: How are you protecting the fund from volatility? BH: We are a diversified, long-only mutual fund, so it's not a core strategy for us to short crude oil or energy stocks. But we do try to mitigate volatility through diversification. That means holding companies across the market cap spectrum, in different geographies and with different commodity exposure, to derive a portfolio that is not highly correlated. TER: I understand you started investing in some larger caps this year. What prompted that? BH: As part of that diversification, and because there was heightened volatility coming into the year, we were trying to find value in stocks that paid a dividend and offered lower volatility. In a new energy cycle, the stocks that typically move first out of the trough are the larger caps. We made investments in some major integrated oil stocks, some of which were paying dividend yields as high as 6%, which really helped buffer the portfolio from excess volatility. We were able to pick up some income in the meantime. Historically, when you can buy large companies with high dividend yields, that's a signal of the value to be had. One of the companies we added to the portfolio is Royal Dutch Shell Plc (RDS.A:NYSE; RDS.B:NYSE). When we purchased the stock, it was yielding over a 6% dividend, and the acquisition of BG Group Plc (BRGYY:OTCQX; BG:LSE) was a nice bonus. We're very encouraged by that acquisition. We feel it strategically places the company very well. BG Group puts Shell in regions of the world that look interesting from a growth standpoint, namely in Brazil and Australia. We feel like that's going to be a good platform for Shell, and for a company of its size, to get more growth. TER: Are you expecting more merger and acquisition (M&A) activity as we move through this phase of the cycle? 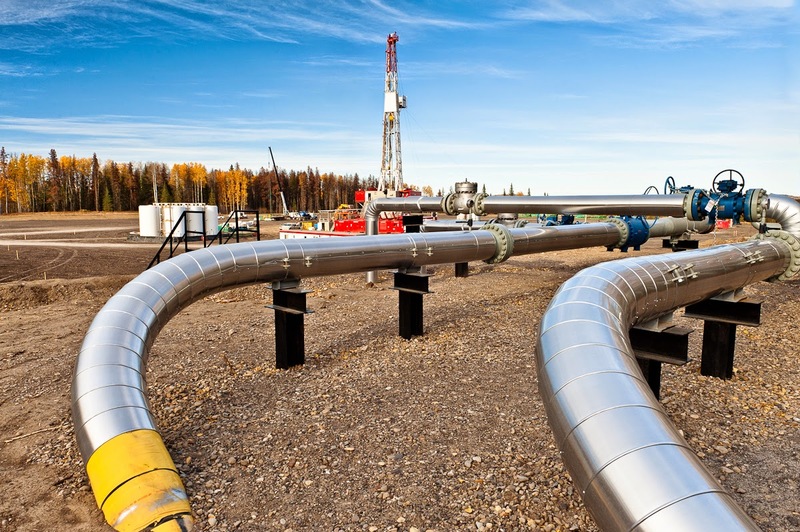 The Ohio Department of Natural Resources has released the latest weekly Utica shale permitting update, and activity was higher than it has been in quite some time. 16 new permits were issued last week. Guernsey County led the way, with 6 of those permits. It was followed by Harrison County (5), Monroe County (4), and Belmont County (1). 11 of the 16 permits were issued to American Energy Utica. This latest flurry of permitting activity pushes the cumulative total to 1,917, with 1,494 wells drilled and 897 producing. The Utica rig count increased by 1 from the previous week, to 26. View the report below. Remember, you can also view the latest report and several other reports by using The Daily Digger mobile app (click here for more information). 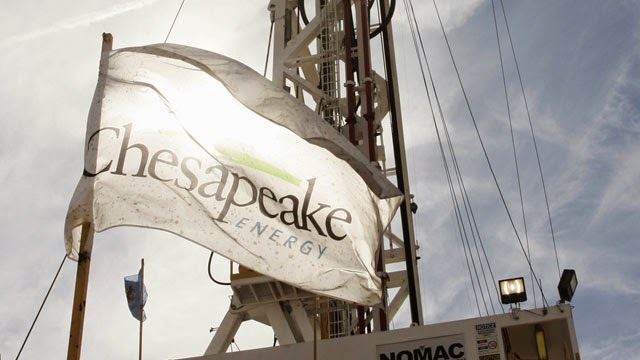 The startling news from Chesapeake Energy (NYSE:CHK) is that the company actually raised 2015 production guidance to 640 to 650 mboe per day. The company forecasts up to 3% production growth over the adjusted 2014 numbers. No matter what the energy exploration firm achieves this year, the one major goal has to be lower production. If the market won't pay higher prices for oil and specifically natural gas, the company shouldn't produce more of the product. It appears a simple supply and demand equation that Chesapeake Energy struggles to understand. Besides, the company is awash with debt and domestically the country is awash with energy supplies so Chesapeake has no incentive to increase production no matter what it does. Ironically though, the primarily natural gas production firm appears incapable of completely pulling back the reigns. Previous research focused on this inability to cut production and consequently the stock continues sitting near lows. Any reason investors should change their opinion on the stock now? A lot of people have got very excited as the price of WTI has bounced back from the lows reached a few months ago. 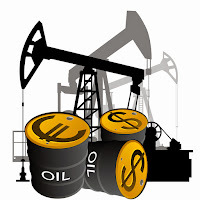 If oil fails to break and hold above $62 this time around, however, their enthusiasm could well be misplaced, as the fundamental factors that caused the price decline in the first instance are still in place. That, combined with the technical importance of this challenge of the resistance, makes a drop back below $50 look more likely than a continued rally. When short-term technical indicators and long-term fundamentals both suggest a move in the same direction, as is the case here, investors are well advised to pay attention. In the short term, as the above 3 month chart clearly shows, the $62 resistance level that we are approaching again has enormous significance. 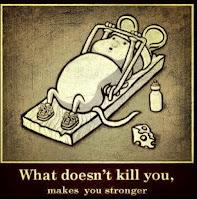 Most traders will tell you that the third attempt at a support or resistance level is the most important, and the reason for that is also clear on the chart. The first time WTI tested $62 it dropped back to around $60 when momentum reversed. Then, a few weeks later, failure to break through led to a more pronounced retreat, back down to around $58. Each failure to break above a resistance point usually results in a bigger correction back the other way, so failure on the third try would likely be followed by a drop to $55-56, making another attempt far less manageable. From there the combative nature of traders would make a re-test of the January lows more likely. A decision on whether American Water Management Services Inc. will be permitted to resume operations of its deep-injection well on state Route 169 is expected when the Ohio Oil and Gas Commission reconvenes in June. Linda Osterman, commission director and hearing officer, said May 14 that the commission is expected to have a decision when it meets June 11, if not sooner. The commission has been considering testimony from an appeal hearing during which AWMS, a subsidiary of Avalon Holdings Inc. of Howland, asked for a state order that shut down the well to be lifted. MAC Worldwide Inc. wants to hear from multiple folks who quickly came into money by leasing land to oil and gas companies for a show called Suddenly Rich. The show, which has been picked up by a major cable network that prominently features reality TV programming, is not just about fracking families. It’ll feature vignettes of other people who have hit unexpected windfalls – think winning the McDonald’s Monopoly game or finding a Picasso in grandpa’s attic. “Fracking is a controversial issue across the country,” he told me. “We’re not going to talk anything about the fracking. That’s their quick little one-liner. Cool – let’s learn how it affected you." James Holden, the head casting producer for the show, said the show’s aim is to be aspirational. Confidentiality is a top priority if a landowner is, justifiably, worried about sketchy people knowing of their money, Holden said. Filming begins June 22. 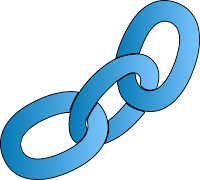 It requires a three-day commitment and participants get a small stipend. “They’re not going to get rich from this,” Holden said, although that shouldn’t be of concern when appearing on a show called Suddenly Rich. With potential local profits flowing to either the Gulf Coast or Canada, the head of the Ohio Oil and Gas Association hopes at least one cracker plant opens in the Marcellus and Utica shale region. "Currently, it is more of a waste than an asset," Shawn Bennett, senior vice president of the association, said of ethane, one of the natural gas liquids prevalent in wet shale gas. "We are in need of an ethane cracker in this region to help us gain value. That would help increase demand, which would help us get more drilling going again." 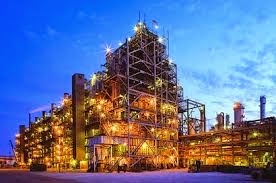 Next year, officials with Thailand-based PTT Global Chemical and Tokyo's Marubeni Corp. are scheduled to decide whether they will build a $5 billion ethane cracker complex that would likely include the 130-acre R.E. Burger plant site and some surrounding property, south of Shadyside. FirstEnergy Corp. still owns the coal-fired power plant that it can still use on a reserve basis, but plans to close it entirely May 31, 2016. Other potential cracker plants in the Marcellus and Utica region include the Odebrecht ASCENT Project possibility for Wood County, W.Va., as well as the Royal Dutch Shell plant that could open in Monaca, Pa. Both Odebrecht and Shell have already applied for air quality permits to allow construction of their plants, but have not indicated a final investment decision. The plunge in oil prices has a lot of the investment community heavily divided between those who see opportunity in US unconventional oil producers and those that see fracking as an unprofitable way to produce oil. Interestingly though, very few people are levying similar criticisms against natural gas producers. David Einhorn, whose tirade against Pioneer Natural Resources made headlines recently, excoriated the business of fracking. But Einhorn explicitly exempted natural gas producers from his attack, instead referring to natural gas producers as low cost leaders. That is because shale gas producers have been here before. Natural gas prices plummeted years ago and the industry has become used to surviving in a low-price environment. There is an enormous amount of demand around the world for natural gas and the US is producing far more cheaply than anyone else. US natural gas has historically traded at between one and one-half the energy weighted price of US oil. Today that figure is closer to one-fifth, even with the fall in the price of oil. Europe and Asia are paying dramatically more for natural gas than America, and there is no sign of that trend reversing. That price difference has led many multi-national chemical companies to look at locating plants in the US to capitalize on the low price of natural gas. The dynamics of the oil industry versus the natural gas industry are completely different. While the US is in the middle of the pack when it comes to oil production costs (though it is moving lower on this point), it is emphatically the low cost natural gas producer. Having seen natural gas prices crash several years before oil, drillers have already cleaned up their operations and cut costs. The 12-month default rate forecast for Oil and Gas companies rated B2 or below in the Exploration and Production (E&P) sector is estimated to more than double in the year ahead, Moody's Investors Service said in a new report. Moody's default-forecasting model estimates that the one-year portfolio-average baseline default rate for these companies will increase from 2.7% to 7.4%. "With a gradual recovery in energy prices, the weaker oil & gas issuers are at a much greater risk of default," said Moody's Senior Vice President David Keisman. "The companies on the lower end of spec-grade ratings are the ones that should be most worried." As of May 1, 2015, the oil and gas sector comprised 15% of companies rated B3 or lower -- the largest share for any sector included on this list of ratings across US corporate sectors, Moody's Associate Analyst Julia Chursin states in the report, "Oil and Gas: The Bad, Ugly and Good." The percentage is nearly double the 8% of oil and gas companies that occupied the list of US companies rated B3 negative or lower a year ago. Continue this article by clicking here. Most of the U.S. oil industry is reeling. Big Shale is reloading. As the top dogs of the shale oil industry reported earnings last week, they said they will plan to mix ambition with austerity. This year they want to chop well costs 15 to 20 percent, while raising productivity in the rock. They're already preparing game plans to raise oil output later this year, if prices justify it. 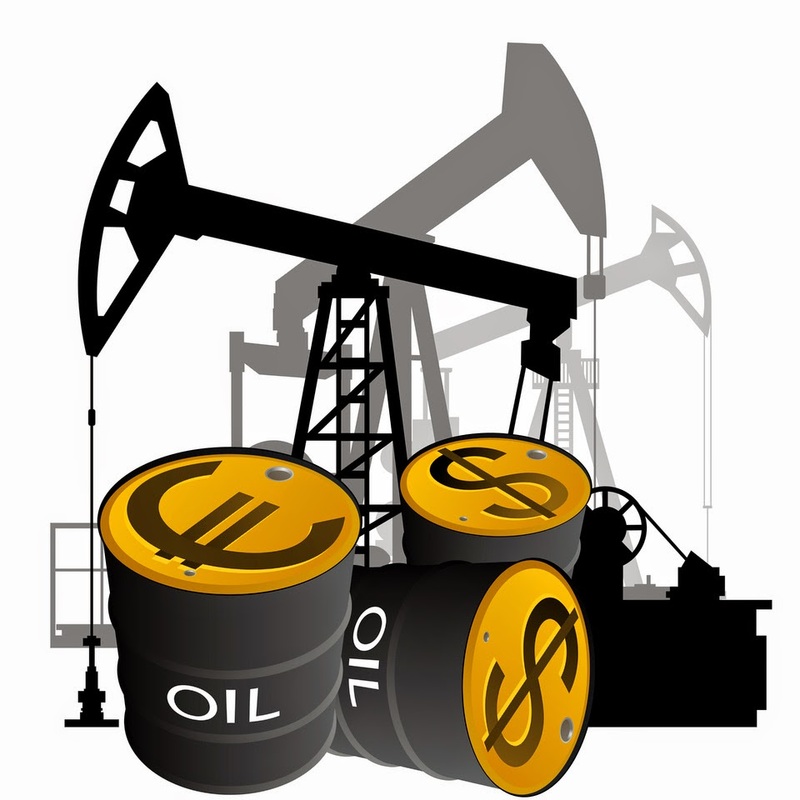 The crash in oil prices, nearly 60 percent at its March nadir, was supposed to cut off U.S. shale at the knees. Instead, it might just be putting the industry's biggest players through a financial boot camp. "I think that's ultimately probably a good thing for the industry, and I think it probably does emerge a bit more healthy than it was prior to the downturn," said Mark Hanson, an energy analyst with Morningstar. "I think the implication longer term is you likely see probably more cost-competitiveness," he said. "And I think that probably leads to a cap on oil prices longer term, in part just because there's so much resource that can be brought online at low prices ... once these efficiencies flow through the U.S. shale complex." The Noble County Chamber of Commerce and Tourism Bureau, Caldwell, once again voted to oppose the governor’s severance tax proposal on the shale oil and gas industry in Ohio during the monthly Board of Director’s meeting. In a statement from the Chamber and Tourism Bureau, Jill McCartney, president of Chamber, said, “The board recognizes that Utica Shale development is in its infancy in Ohio and that it will take several years to determine the full economic opportunity in the shale formation. Ohio has been a business-friendly state and should continue to encourage gas and oil production, and not build barriers that would jeopardize that growth in this industry or any other industry. “The Appalachian region has experienced slow growth and high unemployment for many years. Drilling in the Utica Shale play could result in economic growth that has not been seen in decades. “There are over 30 shale developments in the United States and many more overseas. If we over-tax the industry in Ohio, we will not be able to compete with other areas where the taxes are lower. “We are not willing to risk this new opportunity. We have the chance to experience unparalleled economic change in a part of the state that lags behind in employment, income and other critical measures. There was talk a couple of years ago, particularly in 2012–2013, that with unbridled shale oil growth we would need more refineries. But the producers have been more disciplined than anybody expected in the last three months, with the rig count declining sharply and then staying down. I think we're going to see a drop in U.S. production, so I don't see the need for any new refineries right now. The only thing that could change would be even more demand growth, which we're seeing because of lower prices. Somebody might get the idea that we need another refinery to meet that demand. Right now, refinery crack spreads are actually very good. They're $20–25 per barrel ($20–25/bbl), which for this time of year is fantastic. But I don't know if that's good enough to warrant somebody spending tens of billions of dollars to build something new. The other thing is that the refinery industry has been pretty good at incrementally adding light oil capacity around the country. A thousand barrels a day (1 Mbbl/d) here, 2 Mbbl/d there—that has added up over the last two or three years. I don't know what the exact number is, but certainly there's been no problem in getting gasoline to market, as you can tell by the big drop we've had in gasoline prices over the last six months. TER: The new U.S. production is lighter than what U.S. refineries were designed for. Are the U.S. refiners retooling? KS: Well, a bit. Like I said, you're getting 1 Mbbl/d here, 1 Mbbl/d there, of light oil capacity. Refiners are also trying to increase the amount of distillates they produce, because generally that's a more profitable product—jet fuel and diesel fuel, which is what Asia uses. Asia runs on diesel. That's definitely Brent pricing, so there's more margin in that. Everybody's been trying to reduce heavy oil. The big exception would be BP Plc's (BP:NYSE; BP:LSE) Whiting, Indiana, refinery, which just went from mostly light oil to mostly heavy oil. TER: How has the delay in approval of the Keystone XL pipeline and resistance to Canadian pipelines going both east and west affected Canadian oil sands producers? KS: So far there is not much impact. The heavy oil discount is quite tight right now because the Gulf Coast is getting a lot of Canadian oil that it never used to get. Enbridge Inc. (ENB:NYSE) has got the Flanagan South Pipeline moving, so it's able to bring 300–350 Mbbl/d more Canadian crude straight to the Gulf Coast than it used to. That's not quite as big as Keystone, but between what rail has done in the last two years, going from zero to just under 200 Mbbl/d, the incremental oil sands production has been able to find a way down to the Gulf Coast. There's actually more Canadian oil now going to the U.S. than ever before. That's great news for Canadian producers. As you said, most of the refineries down there are geared toward heavy oil. Keystone probably will start to be important next year or the year after. Rail and the Enbridge Flanagan South line bought Canadian producers one to two years' grace on their growth in production. It's going to hit the wall again very quickly because oil sands production is going to rise anywhere between 50 Mbbl/d and 120 Mbbl/d every year for the next five or six years. Keystone will come back into importance fairly quickly. TER: Is refinery construction on the table in Canada? KS: Oh yes. The Alberta government is building a refinery, the North West Upgrader. I think it's relatively small—somewhere around 75 Mbbl/d. But from private industry, there is just no appetite for a refinery in Canada. You need a big petrochemical complex surrounding your refinery complex, and you just don't have that in Canada. The refineries are either in Edmonton, Alberta, or in Sarnia, Ontario. Sarnia has a petrochemical complex, but with the government there now, you're never going to see another refinery in Ontario. You might see one in Alberta, but, again, it's not going be as economic because it would just be producing gasoline, and not as many petrochemical products. TER: Speaking of Alberta, how will the election results there affect refiners and oil sands producers? KS: I don't know if it's going to affect oil sands or refineries that much. Because of the dirty oil moniker, if there's one thing the New Democratic Party (NDP) government might go after, it's trying to get the image of the oil sands in better shape. I think stronger environmental rules could really help the industry in the long run. That's going to cost some money, and potentially put a crimp into some cash flows. The producers don't want to disturb their tailings; they just want to plant poplar trees over them and let them go back to nature. I don't know if the NDP is going to allow that. From a tax point of view, I don't think the elections are going to make much difference. There is talk about raising corporate income taxes, but the reality is that most, if not all, the producers lose money every year on an accounting basis. There's not going to be much impact for the oil patch. Royalties could go a little higher, but I don't see them going much higher. 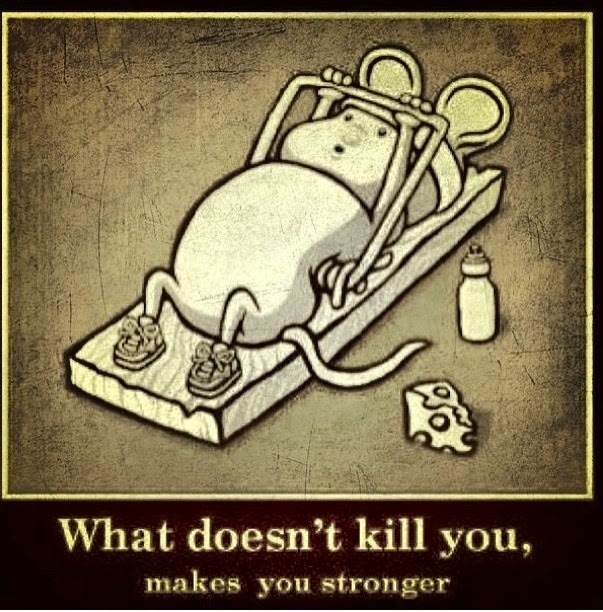 Honestly, the fear is greater than what the reality will be. The bark is worse than the bite. TER: Has the price of oil found its new level? Market Realist: Utica Shale Gas Production Races Ahead in April - "According to the U.S. Energy Information Administration (or EIA), the Utica Shale in eastern Ohio has become one of the fastest growing gas-producing regions in the United States. 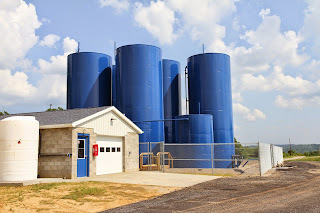 In its Drilling Productivity Report (or DPR) released on May 11, 2015, the EIA estimates that in April, Utica Shale gas production reached 2.38..."
Shale Play: Drillers still taking water from Ohio Creeks - "XTO Energy stopped drawing frack water from McMahon Creek in Belmont County in December, but the company is one of several Utica and Marcellus shale drillers once again pulling from streams across Ohio for..."
The Daily Caller: Two Graphs Show Exactly Why Saudi Arabia Wants To Crush Fracking - "There’s an oil price war going on, and OPEC thinks it can win by not cutting production and pricing out companies producing oil from U.S. shale formations. And now, the Energy Information Administration (EIA) has some charts that show why Saudi Arabia and other OPEC nations are afraid of America’s..."
Seeking Alpha: PDC Energy - Utica Comes Out Swinging, Wattenberg Plugs - "A high-flying shale developer focused on the Niobrara and Codell formations in the Wattenberg Field in Colorado and the Utica play in Ohio, PDC Energy Inc (NASDAQ:PDCE), had plenty of good news to give investors in its latest updates. Production from its two areas of operation jumped up by..."
Market Realist: Natural Gas Prices Touched a 4-Month High Last Week - "Natural gas prices had a good week. Prices mostly increased between May 11 and May 15, closing at $3.016 per MMBtu (million British thermal units) on Friday, May 15. This was 4.7% higher than last Fridays close of $2.88 per MMBtu. Natural gas prices affect the profitability of natural gas producers like..."
Bloomberg Business: Oil CEO Wanted University Quake Scientists Dismissed: Dean's E-Mail - "Oil tycoon Harold Hamm told a University of Oklahoma dean last year that he wanted certain scientists there dismissed who were studying links between oil and gas activity and the state's nearly 400-fold increase in earthquakes, according to the dean's e-mail recounting..."
ShaleOhio: Federal judge rules pipeline can cross holdout properties in Pennsylvania - "A federal judge has ruled that the company building a 124-mile pipeline to transport natural gas from the Marcellus shale play to New York can build across seven Pennsylvania properties whose owners had not agreed to provide access to their land, reports Farm and Dairy. In Constitution Pipeline Company, LLC v. A Permanent Easement for 1.84 Acres, M.D. Pa. Case No. 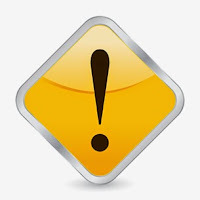 3:14-cv-02458-MEM, Judge Malachy Mannion..."
NGI: Oil / Gas Severance Tax Still Under Consideration in Ohio Senate - "The Ohio Senate has opted to craft its own state budget rather than work from a version passed by the state House of Representatives last month or borrow from Gov. 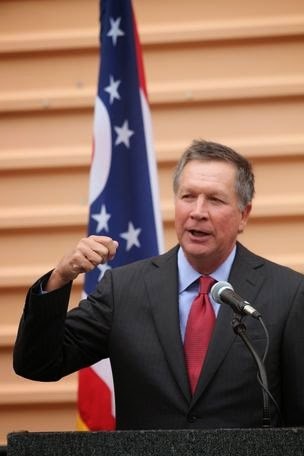 John Kasich's proposed budget, which called for a 6.5% severance tax..."
Energy & Environmental Law Blog: Supreme Court of Ohio Accepts Wendt v. Dickerson - "On June 20, 2015, the Supreme Court of Ohio accepted the appeal in Wendt v. Dickerson, a case from Ohio’s Fifth Appellate District involving Ohio’s Dormant Mineral Act (“DMA”). The Court will consider: (1) whether the 2006 version of the DMA is solely applicable in determining the ownership of minerals when the surface owner did not make a claim for the..."
Oilprice.com: This Innovation Will Help U.S. Companies Win The Oil Price War - "Although some US oil companies are struggling with low oil prices, a new wave of innovation is hitting the oil patch, allowing for a significant reduction in drilling costs. A variety of different improvements in production are starting to show up at all levels across the industry from..."
Natural Gas Now: Penn State Explains Their Groundwater Study - "We covered the recent Penn State groundwater study and Penn State has responded. We post the entire response here as a matter of fairness and ensuring all facts are available, only adding emphasis to some key points. Frequently asked questions about the study “Evaluating a groundwater supply contamination incident attributed to Marcellus Shale gas development” by Llewellyn GT, Dorman F, Westland JL, Yoxtheimer D, Grieve P, Sowers T, Humston‐Fulmer E, Brantley SL, 2015 (PNAS, doi: 10.1073/pnas.1420279112). The information presented below was developed by several of the study’s co‐authors including..."
Thailand's PTT Global Chemical PCL said it aims to sign in the second half of 2015 a deal with Japan's Marubeni Corp and a new partner to jointly invest in a $5.7 billion petrochemical complex in the United States. Thailand's largest petrochemical maker will hold a more than 51 percent stake in the project, Patiparn Sukorndhaman, executive vice president for finance told reporters. PTT is seeking a third partner to jointly invest in the project in addition to Marubeni, Sukorndhaman added. "Marubeni specialises in trading business. Having Marubeni as a partner will help us to penetrate the North America market," Patiparn said, adding PTT is looking to select one of five potential partners that are interested in the project. The stakes that would be held by Marubeni and any third partner are still under negotiation. PTT Global, petrochemical flagship of state oil and gas company PTT PCL, has selected Ohio as the site of a one-million-tonne olefin cracker so it can use ethane from the Marcellus shale as the feedstock, it said in a statement. 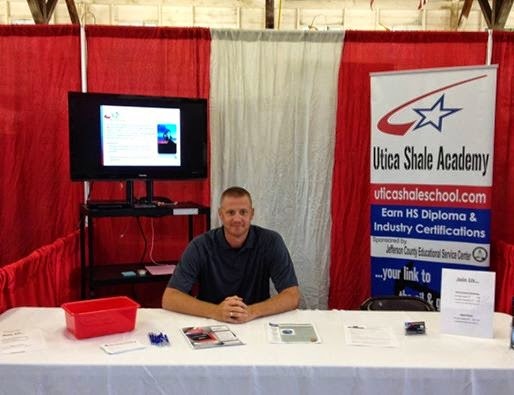 The Utica Shale Academy (USA) is expanding, and beginning this fall high school aged students will be able to enroll at a satellite location within the Columbiana School District. The Columbiana Board of Education approved the satellite location following a presentation by USA director Eric Sampson this week. Superintendent Don Mook said hosting the academy within the high school building will open up the door for students in the northern part of the county who may not have been able or willing to drive to the Southern Local location. Formed last year, the academy functions as an open enrollment charter school within the Southern Local High School through an agreement with the Jefferson County Educational Service Center (ESC), and students in grades 9 through 12 can earn certifications through the academy for careers in the oil and gas industry. Academy students also fulfill their high school graduation requirements through the courses, which are a combination of online and hands-on learning, allowing for a seamless transition to colleges and universities for their associate degree in related fields. 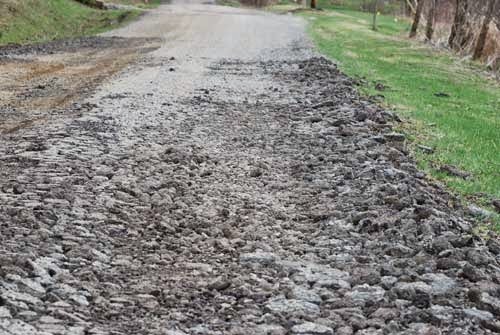 The current state of two Franklin Township roads along with an oil and gas company's refusal to cooperate has prompted trustees to sever its road use maintenance agreement. Trustees voted during a recent meeting to terminate its RUMA with Chesapeake Energy after the oil company opted not to take responsibility to repair Acker Road and Nature Road, saying the roads are the township's responsibility. The RUMA, which was worth $60,000, states that Chesapeake is responsible for maintenance of the roads as the company conducts drilling activity and is to keep them in "as good" or "better" condition. In a voice message received by trustee Mike Lutz, a representative from Chesapeake said the company has ended drilling and is now in "production mode." As a result, the company is not responsible to repair the roads. The representative also said a letter in writing would be needed in the event the township were to end the RUMA. Some might say that this doesn't seem like a wise move by Chesapeake from a community relations standpoint. Permitting activity continued to be slow and steady last week, according to the latest weekly report from the Ohio Department of Natural Resources. 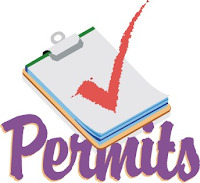 5 new permits were issued during the week ending May 16. 2 of those permits were for Rex Energy wells in Carroll County, 2 were for Chesapeake Energy wells in Harrison County, and 1 went to XTO Energy for a well in Belmont County. While this was still a somewhat slow week for permitting, it was enough to push the Utica shale over another milestone number. There are now 1,902 permits issued for horizontal drilling in Ohio's Utica shale. Further, 1,484 wells have been drilled and 896 are now producing. The Utica rig count continues to sag, standing at 25. View the full report below or in The Daily Digger mobile app. Traffic along Ohio 644 and 39 was closed for nearly five hours April 23 after a truck leaked shale oil throughout Carroll and Columbiana counties. According to Salineville police, an undetermined amount of gallons were spilled Wednesday morning as a portion of a drilling rig hauled by Michael Ayers, owned by Mid-East Truck and Tractor Service of East Canton, was being moved from an oil drilling site on state Route 164 to another on Amsterdam Road in Scio in Harrison County owned by Chesapeake Energy. 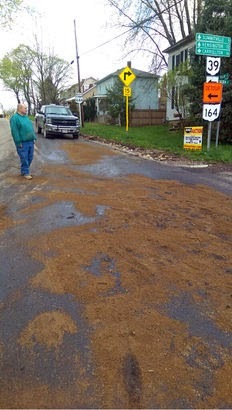 "The brunt of (the spill) was in Salineville and Mechanicstown," Salineville Police Chief Andy Straley said. "The whole spill was about 26 or 27 miles." Straley said the material that leaked was a mineral-based synthetic, a non-hazardous drilling oil compound. GRAPEVINE, Texas, May 15, 2015 (GLOBE NEWSWIRE) -- GreenHunter Resources, Inc. (NYSE:GRH) (NYSE:GRH.PRC), a diversified water resource, waste management, environmental services, and hydrocarbon marketing company specializing in the unconventional oil and natural gas shale resource plays within the Appalachian Basin, announced today financial and operating results for the three months ended March 31, 2015. 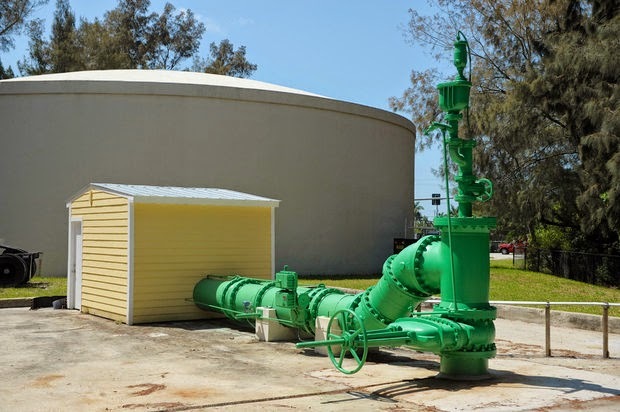 The Company substantially improved operating margins related to water disposal (disposal revenue less disposal expense as a percent of revenue) from 32% in the first quarter of 2014 to 42% in the first quarter of 2015. The Company substantially improved operating margins related to internal trucking (internal trucking revenue less internal trucking expense as a percent of revenue) from 12% in the first quarter of 2014 to 25% in the first quarter of 2015. The Company decreased selling, general and administrative expense, excluding non-cash stock compensation, from $2.1 million in the first quarter of 2014 to $1.7 million in the first quarter of 2015, a decrease of 19%. The Company deployed its first rented MAG Tank in late February for approximately $25 thousand per month. On March 16, 2015, the Company closed the sale of its last remaining renewable energy asset, the Mesquite Lake Resource Recovery Facility (biomass plant) for the total consideration of $2 million purchase price at closing. 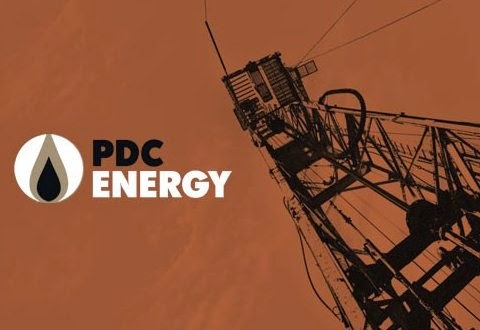 During the first quarter of 2015, the Company paid off a $2.2 million bank promissory note that was used to finance the initial purchase of its first three disposal wells back in 2012. The monthly payments were approximately$66 thousand, including principal and interest. Completed senior secured financing on April 15, 2015 to borrow up to $16 million of new money for capital projects including the completion of the Mills Hunter Facility pipeline to connect up to six disposal wells to our current offloading facility, essentially doubling the Company's current disposal capacity to approximately 32 thousand barrels per day. Additionally, the funds will be used to acquire up to 10 new DOT rated 407 trucks/trailers to be added to our existing fleet of 37 trucks and the build-out of our barge receiving terminal at our Mills Hunter Facility. Additionally, the development of additional barging terminals along the Ohio River that will be used to receive oil-field wastewater for barging to the Mills Hunter Facility. Our net loss per share for both continuing operations and discontinued operations, basic and diluted, was ($.07) compared to ($.08) for the first quarters of 2015 and 2014, respectively. Our loss from continuing operations was $1.4 million for the first quarter 2015 compared to a loss of $1.3 million for first quarter 2014. Our loss from discontinued operations was ($92) thousand(loss of $.00 per common share, basic and diluted) for the first quarter 2015, compared to loss from discontinued operations of ($130) thousand (income of $.00 per share, basic and diluted) for the first quarter 2014. Operating revenues from continuing operations were $5.1 million during first quarter 2015 compared to $8.5 million for first quarter 2014, a decrease of 39%. This decrease was primarily a result of Management's decision to eliminate third party trucking. Commenting on GreenHunter Resources' financial and operating results released today, Mr. Kirk J. Trosclair, Executive Vice President and COO, stated, "Our primary focus during the first quarter of 2015 was to continue to streamline operations in Appalachia which resulted in substantially improved operating margins in both water disposal and internal trucking. We leased a MAG Tank to a major oil and gas company and continue to receive new inquiries on new deployment in the region from our existing customer base." Trosclair continued, "During the first quarter of 2015, we initiated discussions with a number of financial institutions with a goal of securing the appropriate level of funding needed to keep up with the significant growth opportunities for our business in the Appalachia region. On April 15, 2015, we announced that we entered into a senior secured financing agreement for up to $16 million, which will completely fund our capital expenditure budget for fiscal year 2015." Trosclair concluded, "The second half of 2015 will be extremely important for GreenHunter Resources. As we deploy this capital to complete new injection wells, build out barge terminal infrastructure, and add to our 407 truck fleet, our revenues, EBITDA and net cash flow from continued operations should dramatically improve." Read the rest of the release by clicking here.